Vitamin C aka Ascorbic Acid is one of the most widely known vitamins and is available naturally in some fruits and vegetables. It has its highest concentration in citrus fruits. Its also made in a lab through a fermentation process from carbohydrates from corn starch, for addition to foods and in supplement manufacture. Although vitamin C can be self made by some animals, humans must get their vitamin c from outside sources. The body uses vitamin C for the growth and repair of tissues. It helps the body make collagen, an important protein used to make skin, cartilage, tendons, ligaments, and blood vessels. Vitamin C is needed for healing wounds, and for repairing and maintaining bones and teeth. Ascorbic acid is the chemical name for vitamin C and gets that name from the disease it was initially used to treat, Scurvy, caused by vitamin C deficiency (a signifies no, and scorbutus is the latin word for scurvy). Signs of vitamin deficiency include dry and splitting hair; gingivitis (inflammation of the gums) and bleeding gums; rough, dry, scaly skin; decreased wound-healing rate, easy bruising; nosebleeds; and a decreased ability to ward off infection. The usual dose for adults is 1 capsule per day with a glass of water. In times of recovering from Vitamin C deficiency double the dose for 3 days. Vitamin C has several mechanisms of action that give it wide-ranging benefits to the body. It is a water-soluble antioxidant, that promotes a healthy immune system, and supports connective tissue formation. Because it is a cofactor in the synthesis of collagen and other connective tissue constituents. Vitamin C is essential for promoting wound healing and supporting injury repair . The combined positive effects of vitamin C on collagen synthesis, antioxidant status, and immune function make it an important nutrient for healing. Each capsule contains 500mg of Vitamin C, and 50mg of lemon Bioflavonoids. Lemon Bioflavonoids are phytochemicals extracted from the rinds of lemons. Lemon Bioflavonoids work to enhance and prolong the effect of the vitamin C by inhibiting its breakdown in the body. Although Bioflavonoids themselves have health benefits, we have added them to this product to potentiate the vitamin C benefits. Is this synthetic or natural? Both! The Ascorbic Acid in our capsules have been synthesized from corn starch, so is derived from a natural source. Whether you get your Vitamin C directly from oranges, or synthesized from corn starch the molecule its self is exactly the same. The difference being the dosage per serving. 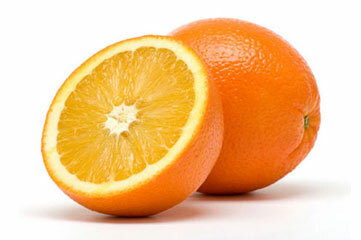 To get 500mg of vitamin C, would either require eating 10 oranges or taking 1 capsule. Click the button below to add the Potentiated Vitamin C to your wish list.